Detail of a painting by Sir Thomas Lawrence (1769-1830), 1814. Canvas 91.4 x 71.1 cm. "I am but a man." Born Arthur Wesley (later Wellesley) in Dublin, Wellington was educated in France. He saw active service in Flanders, was posted to India in 1796, and returned with a knighthood in 1805. After two years as a Conservative Member of Parliament in Ireland, he returned to active service, concluding the Peninsular War in 1814. 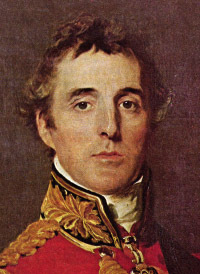 Wellington defeated Napoleon at Waterloo on June 18th, 1815. Entering politics, he was summoned to serve as Prime Minister on January 9, 1828, where he was responsible for passage of the Catholic Emancipation Bill in 1829. Initiated into Trim Lodge No. 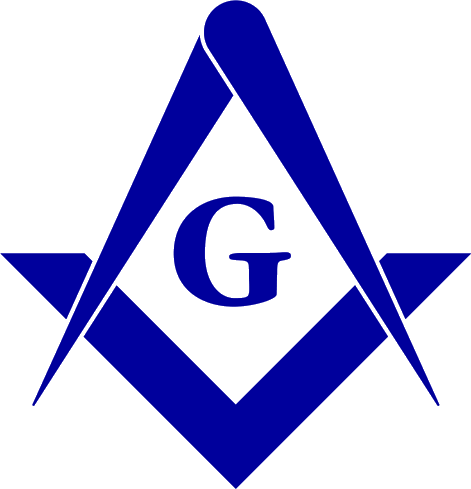 494, a lodge of which his father and brother had been masters, he never attended another meeting. Ars Quatuor Coronatorum. Vol. xv, 1902, p. 108-124. note p. 117.